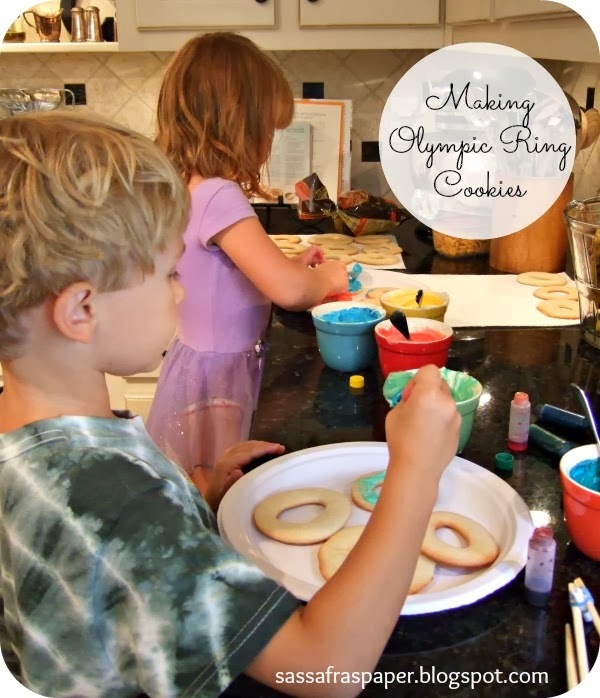 With Sochi coming up in just a few short days, I wanted to share some creative ways you can get your kids excited about the Winter Olympics 2014. I'll admit I am not the biggest sports fan, and am hardly athletic myself. But, I love watching the Olympic Games! The Winter Olympics are especially nice to get into when it's cold outside and there's not much to do besides stay home. As a mother, I have loved making a big deal out of watching the Olympics. I feel like it encourages patriotism, and my kids are inspired by watching young people who have worked really hard achieve their dreams. Gather the family to watch the opening ceremonies, which air on Friday, February 7th. If your family already has "movie" night on Fridays, this is a perfect opportunity to pop some popcorn and get comfy. Check out the uniforms from the different countries, and take a vote to see which one you like the best! This year Ralph Lauren designed the USA uniforms and made sure they were 100% manufactured in the United States. 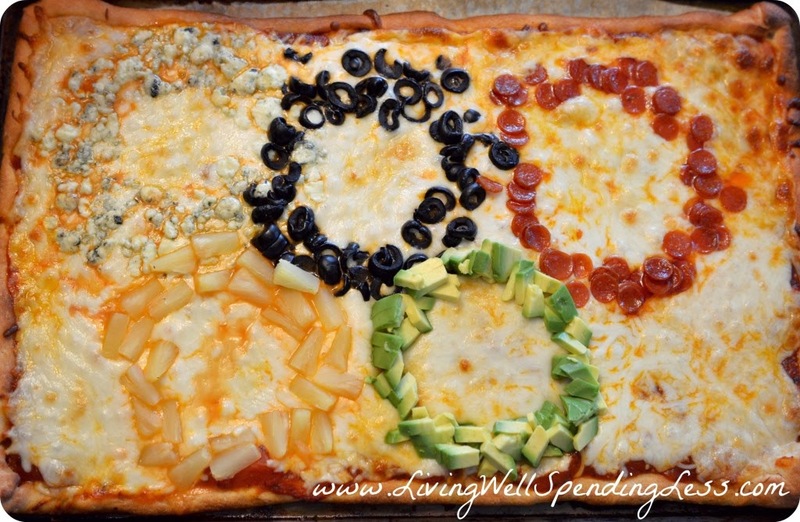 Eat and drink the Olympic Games. Make food fun by getting creative. We've seen ideas for everything from Olympic Ring cookies, to Oreo gold medals, to a fruit flag! Become experts on the events. Print out a copy of the schedule, put it on your fridge and figure out what each event is about. As soon as she saw the schedule, my daughter started asking me about some of the events. Did you know they are divided into three categories? Ice Sports, Alpine, Skiing and Snowboarding, and Nordic Events. What in the world is "curling" or a "biathlon"? Look it up with your kids, and maybe play a trivia game with the facts you find! There are more explanations on the different sports at olympic.org/sports. 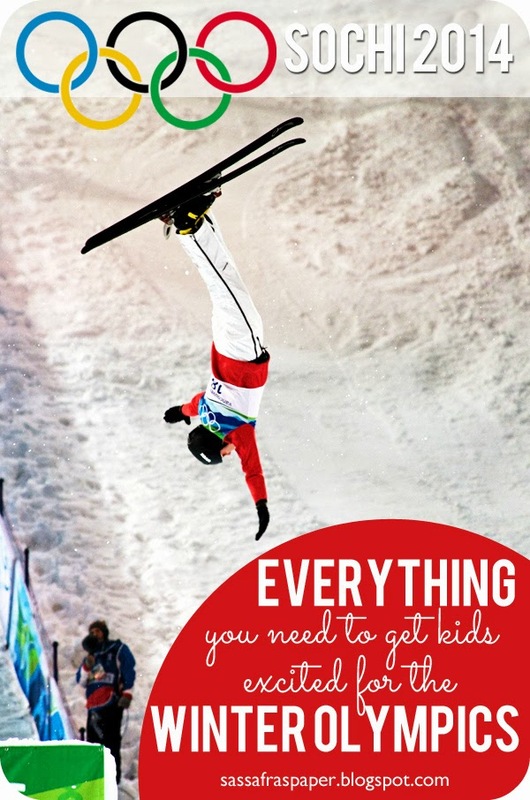 You can also find a great list of books to read on winter sports on The Educator's Spin on It. Track the medals. Pull one over on your kids by making math fun. Have your child create a table and chart a bar graph with the number of bronze, silver and gold medals that the US wins. Make it more colorful by adding other countries to the chart and drawing their flags. Over on the East Coast Creative blog, you can download a free printable to put behind glass in a picture frame. Use a dry erase pen to update the medal list each day. Learn about Russia. I know there is a lot of focus on the security of these Olympic Games, but you can take a lighter approach with kids and just help them learn about a different area of the world. Julie from Nurturing Learning has a wonderful list of children's books set in Russia, and some easy art ideas. At Teachers Pay Teachers, you can download clip art maps of Sochi and Russia for free. Become involved in the athletes stories. Who could forget the story of Olympic gymnast Kerri Strug? It's fun (and educational) to become familiar with athletes and their history, obstacles and achievements. The Team USA website has a great section devoted to 100 storylines you can follow in Sochi. Find one that will interest your kids, and follow it throughout the games. Get Crafty OK, I know some of you aren't crafters, but there are some EASY ideas out there that you and your kids can do that will produce some pretty impressive results! I love this idea from Melissa at the Joys of Home Educating. Isn't it cute? All you do is tear paper and glue! I've also seen many ideas for making your own Olympic torch. This one is easy! 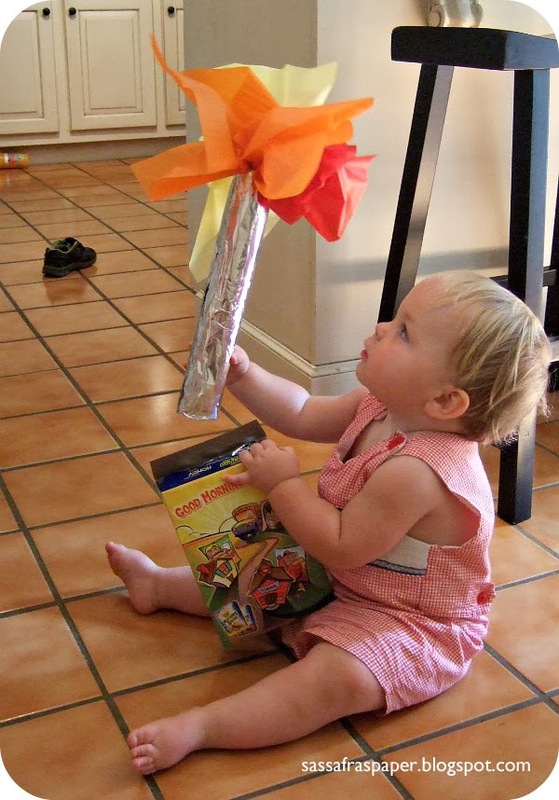 Cover a paper towel roll with aluminum foil and stuff in orange, red and yellow tissue paper. Have your own games We planned a fun night for our church's elementary-age youth group. We talked about the importance of perserverance, endurance and relying on God. We spent time thinking about how hard the athletes practice, and overcome disappointments and obstacles to achieve greatness. These videos from P&G, which focus on thanking moms, have really cool stories. We loved the one about Nick Goepper. Go Nick! Then, it was on to our games. We hit soft balls with hockey sticks into taped off goals on the walls of our fellowship hall, had relay races with homemade torches, and pushed teammates on small carts to emulate the luge. It was great fun! Do you plan to watch the games with your kids? What activities do you have planned?